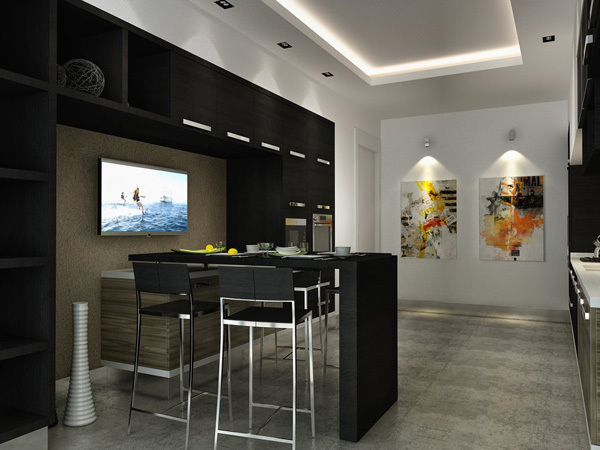 Galley kitchens are a perfect mix of smart design and good use of space. The term ‘galley’ is a shipping jargon which refers to the long kitchens that were found in shipping vessels, especially the merchant ships. 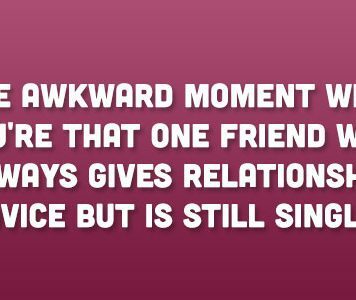 It is this shipping jargon that inspires the galley kitchens that have become so common these days. Designed for modern cooking, galley kitchens look great with the cabinets and the burners are arranged on either side along the walls of the kitchen. Checking out the Galley Kitchen Ideas is essential in making the choice about the type of kitchen design. 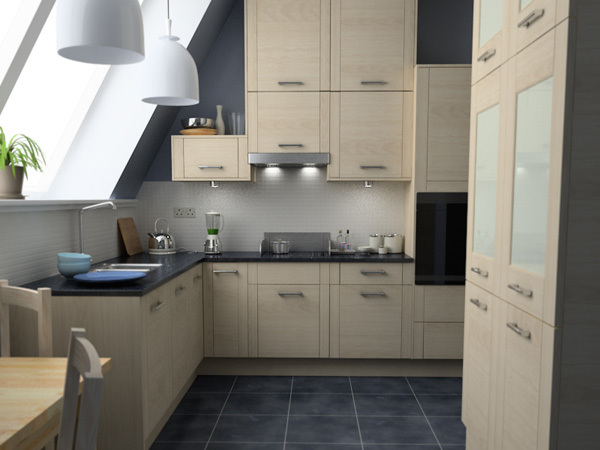 Once you go through different ideas in decorating a kitchen, you can finally decide what type of galley kitchen would suit your need. 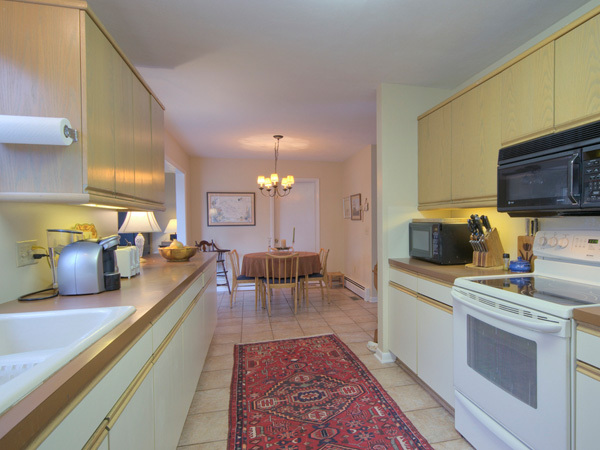 Galley kitchens often serve both as the cooking space and the dining space. The kitchens are arranged with modern kitchen equipment, and help make it easy to set up the cooking and other kitchen tasks. 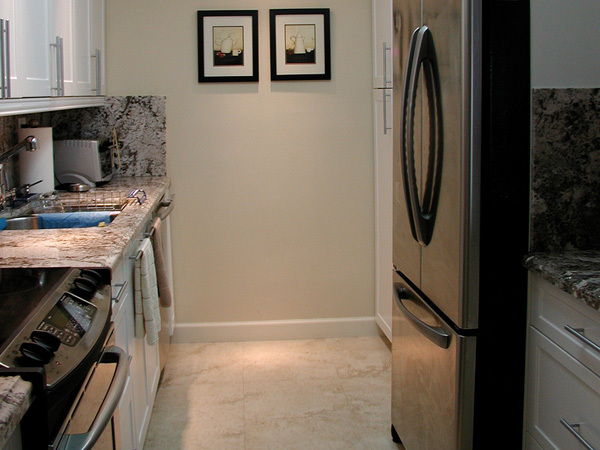 The kitchens can be extra long, or just a compact space with a window. Styled with shelves and storage spaces a galley design is very convenient to arrange utensils and other things that are commonly found in a kitchen. 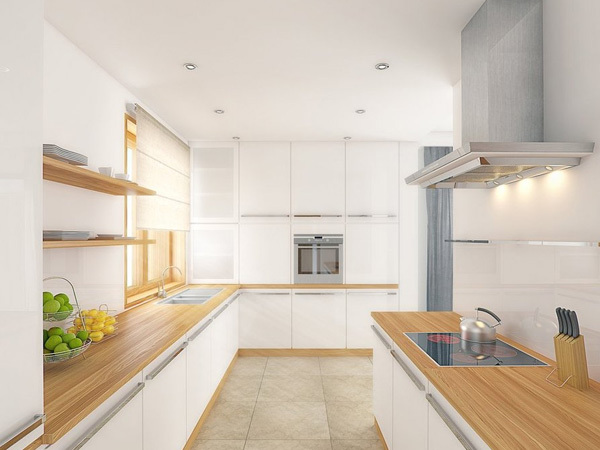 Whether you are planning on remodeling your kitchen or designing a brand new kitchen, you should always make sure that the galley kitchen makes the most use of the space you have. The kitchen is an important space in the household, deserving of proper attention. 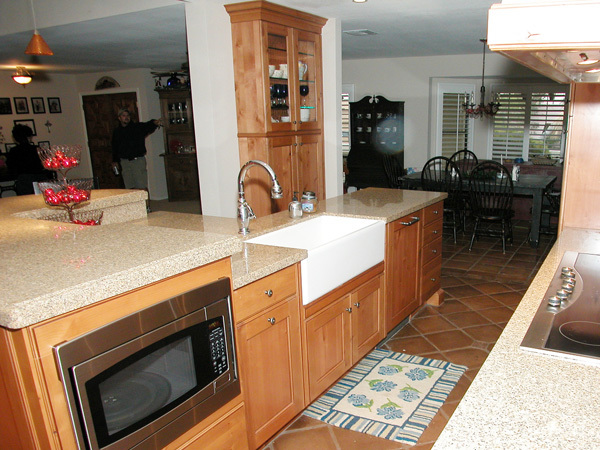 The ideal pattern of a galley kitchen is a rectangular space with the cabinets, the refrigerator, the oven etc. arranged on either side of the floor. If you like this article, you might be interested in some of our other articles on Kitchen Countertop Ideas, Paver Patio Designs, Home Office Design Ideas and Outdoor Patio Ideas. 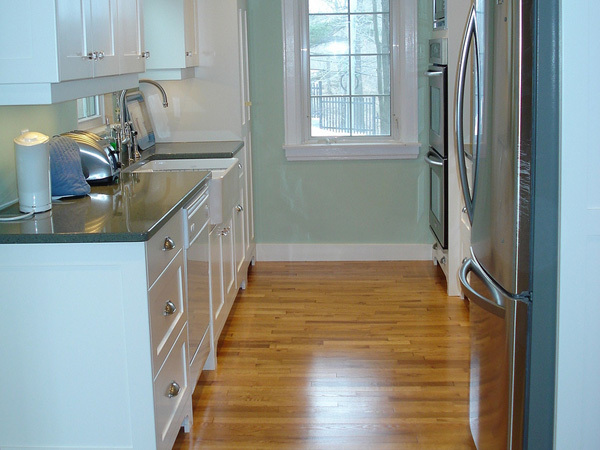 This wide galley kitchen space has a bright sunlit window at one end. 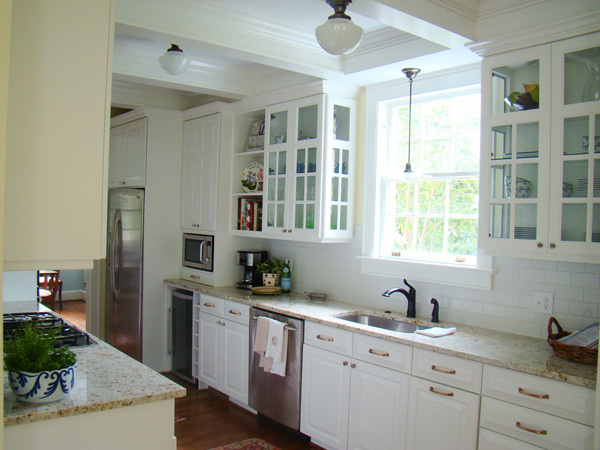 The only touches of color in this white kitchen are the colorful hangings over the basin area. This wonderful galley kitchen is filled with colors. All the colors are soft and gentle and they blend with each other creating a dreamlike feel. The bright galley kitchen lit from all angles makes for a great cooking space. The long brown wooden patterned floor looks warm and beautiful. 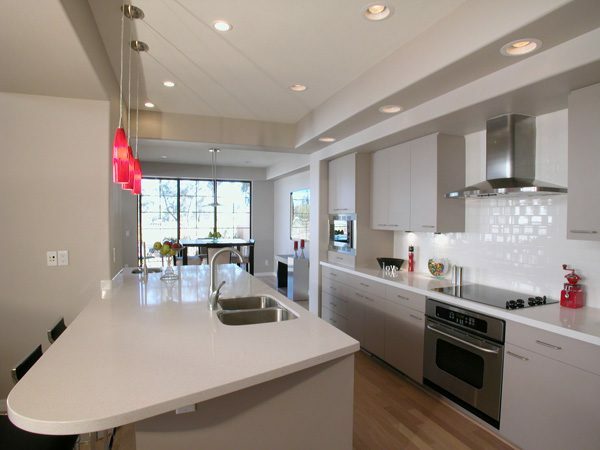 This brilliant modern galley kitchen is great to impress a new homemaker. 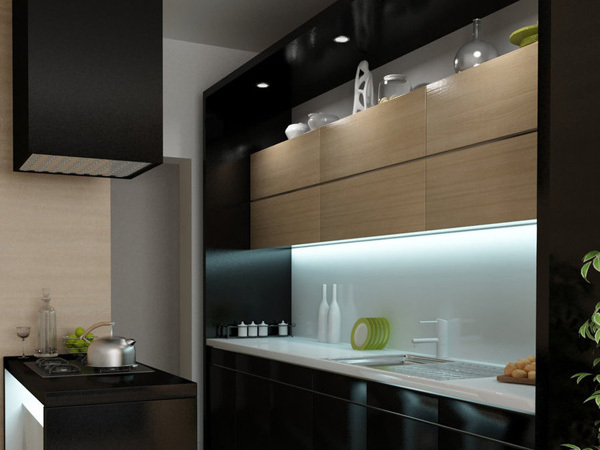 Black walls and subtle lighting make this galley kitchen a special place in a modern home. 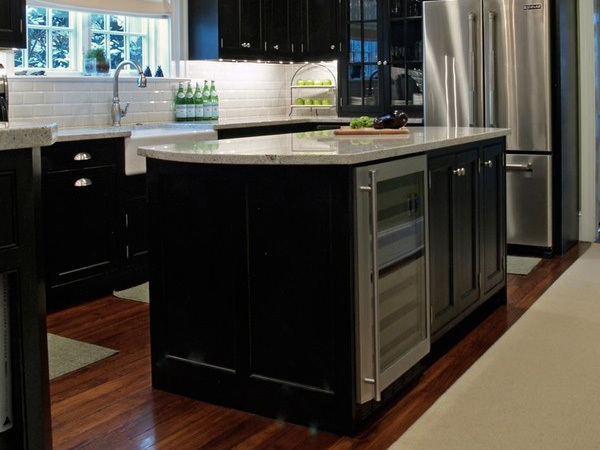 The black galley kitchen is definitely a space that you would be proud to have in your home. 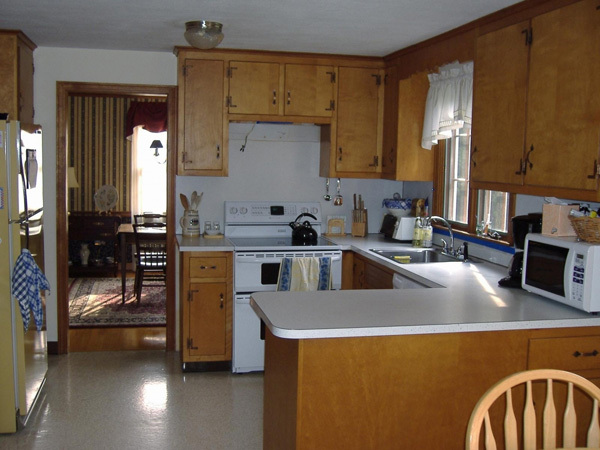 There are sitting spaces for four in the kitchen, suggesting a small family. There is also a LCD TV in the kitchen. This galley kitchen has a gentle blue tinge surrounding it. 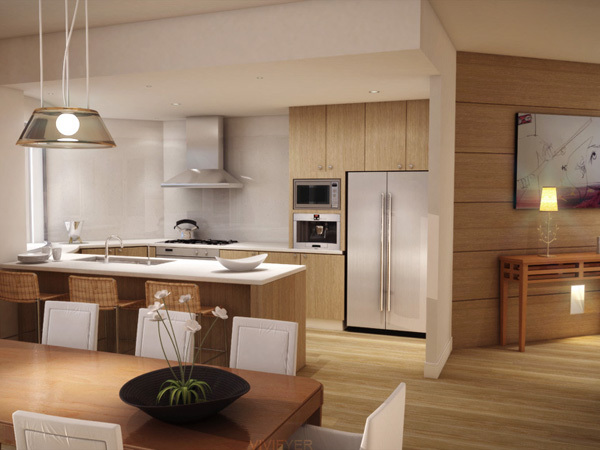 The cabinets and the walls have a soothing feel and the refrigerator can be seen on the right. 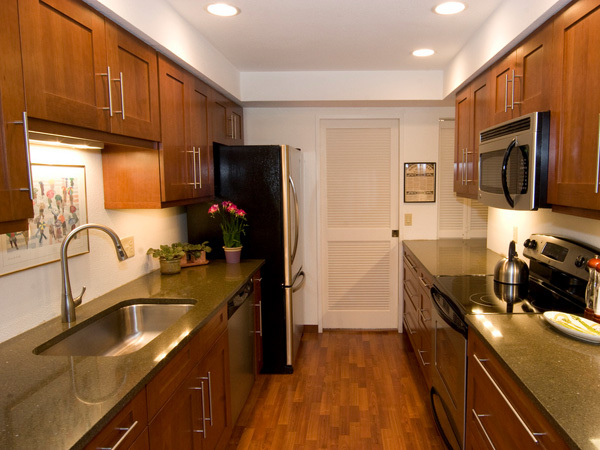 The soft brown tinge of the galley kitchen gives a nice wooden touch. 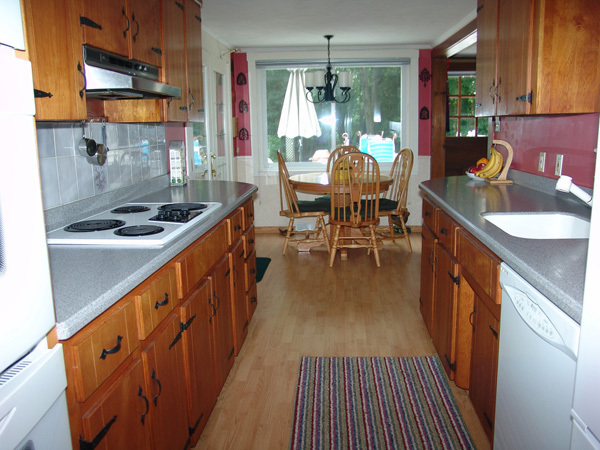 The refrigerator, the ovens, and the chimney can be seen in this fully equipped kitchen. This white galley kitchen with a window looks simple but efficient. You can see the refrigerator at the entrance of the kitchen. 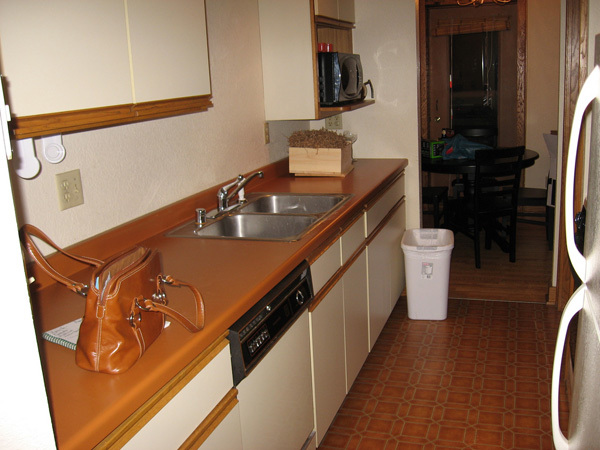 This deep brown galley kitchen is compact but should be very efficient for a small family. 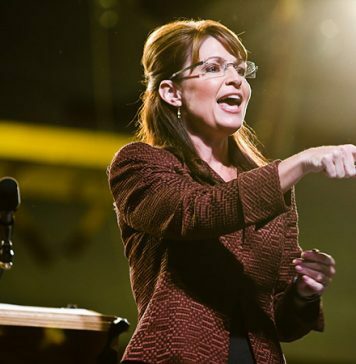 Interestingly, the brown handbag color here blends exactly with the galley kitchen table. The sepia galley kitchen with glass cabinets looks perfect for a small family. 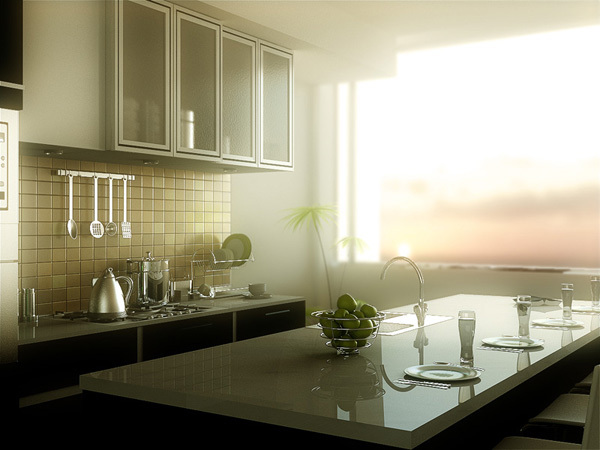 The daylight entering through the window further increases the appeal of the kitchen. 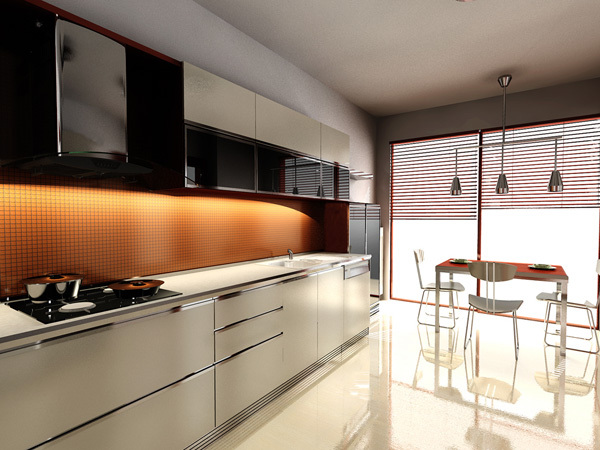 This is a superb galley kitchen in black and orange. The orange portion is lit by hidden lights to create an appealing mood. 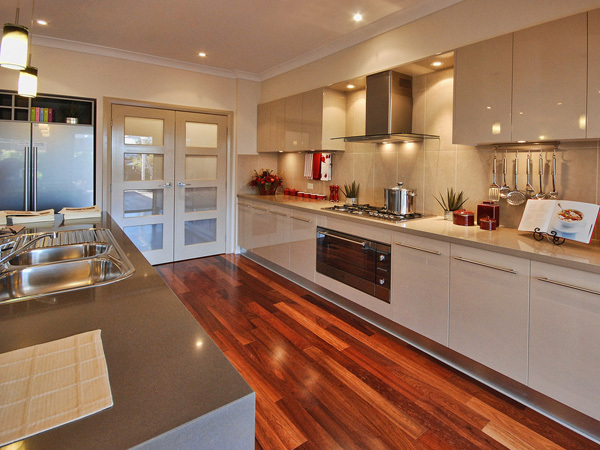 The polished floor further adds to the charm of the kitchen space. 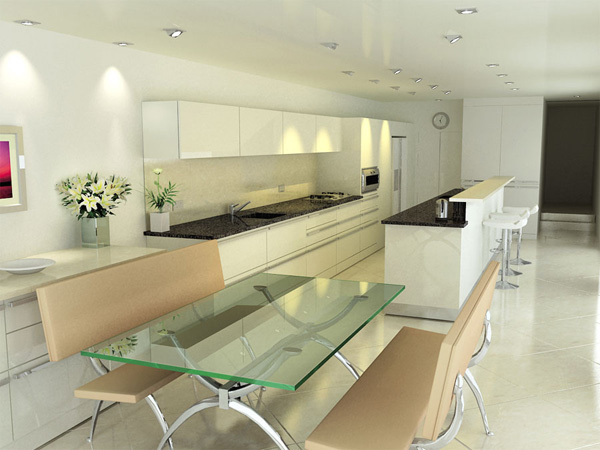 The soft white galley kitchen has a fresh and cool feel. This fully equipped L shaped modern kitchen is convenient for cooking. 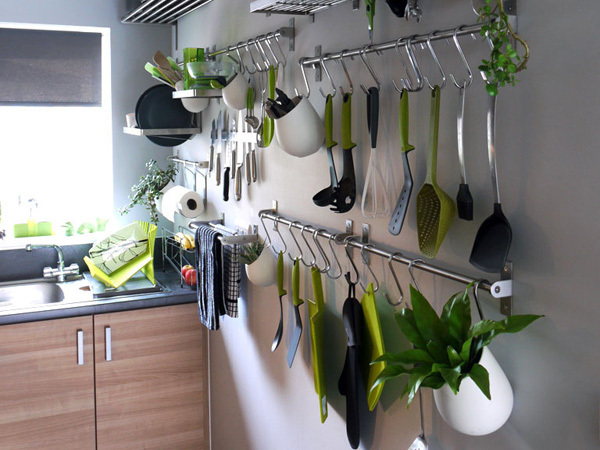 The compact galley kitchen shows kitchen utensils hanging from wall hangers. There is also a window in this compact kitchen. This efficient galley kitchen has everything that can be needed in a modern household. The kitchen is done up mostly in black and steel finish. This is an old-fashioned galley kitchen leading to the dining room. Designed in wood the kitchen is properly equipped with storage spaces. The simple galley kitchen in a matte wood finish has neat cabinets to arrange the kitchen utensils. The microwave oven and the chimney give a smart feel. 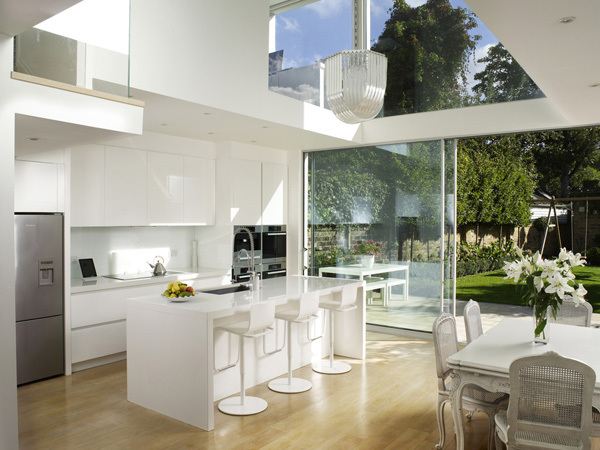 This amazing white glasshouse galley kitchen looks very dream like. This kitchen also has sitting arrangements for the family to have dinner together. The sit and eat galley kitchen is a wonderful space for some family bonding. Cabinets are arranged on both sides of the kitchen. 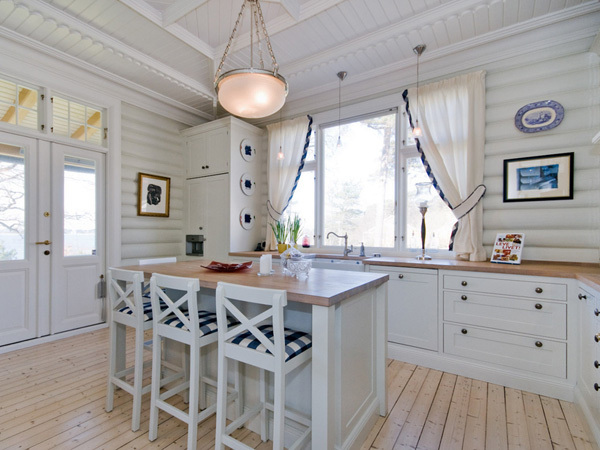 The beautiful white galley kitchen is cool and elegantly done up with paintings on the wall. The wide window, the hanging light, and the chairs, all add to the charm of the kitchen. Done up with wooden storage spaces this is a modern galley kitchen, with a rectangular wooden floor space adding a warm feel. 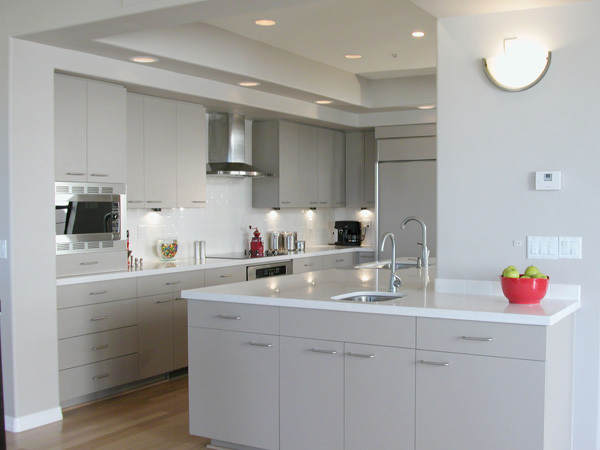 The lush white galley kitchen has a pristine feel to it. The lighting and the broad window adds the charm to the kitchen. The combination of brown and white is just great. This mild green and brown galley kitchen flooded by sunlight is a great space to cook your food. 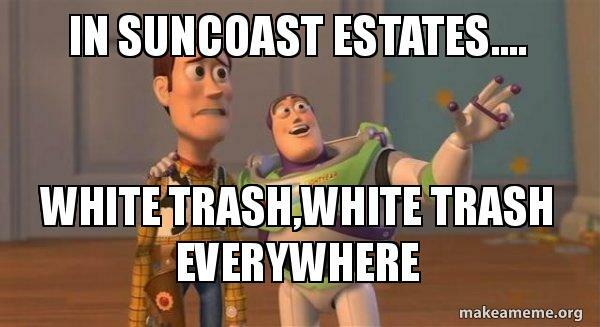 You will simply love to spend time in this fresh natural looking space. 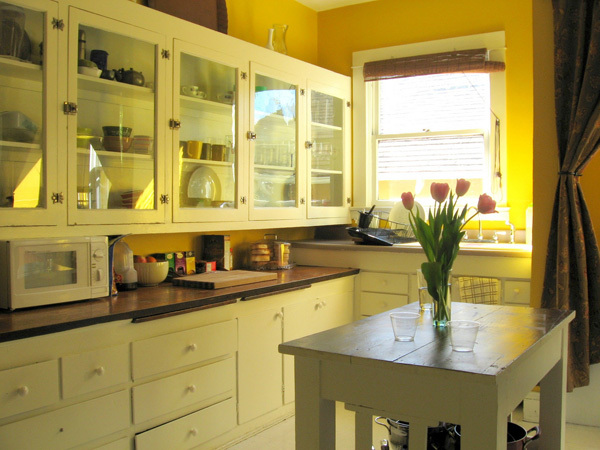 The soft yellow galley kitchen with a glass table has that touch of sharp perfection about it. Lit gently with roof lights, the kitchen creates a stunning impression. The marble slab galley kitchen has an antique feel about it. The patterns on the marble slabs contribute to the feel of the kitchen. The urban galley kitchen shown here is simple but efficient with pale matte wooden storage spaces and a dark gray tiled floor.